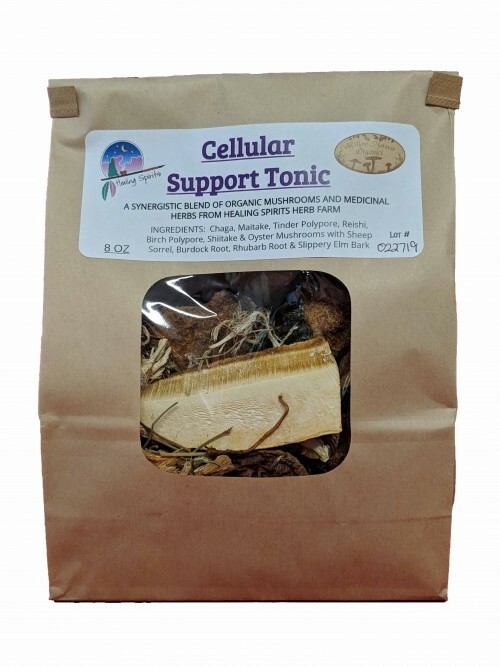 Healing Spirits and Willow Harvest Organics have teamed up to bring you a synergistic tonic support on a cellular level. Ingredients: Chaga, Maitake, Turkey Tail, Reishi, Birch Polypore, Shiitake & Oyster Mushrooms. Sheep Sorrel, Burdock Root, Rhubarb Root & Slippery Elm Bark.